As we approach the final week before that episode of The Walking Dead finally airs, we have to reflect on this: there really hasn’t been a substantial leak of any portion of it. We all figured it was inevitable the truth would get out prior to airdate, but aside from a short three minutes released voluntarily by AMC themselves, not a trace of it has escaped. You have to give the network credit for that. The consequence is that here we sit in mid-October still chasing rumors like it’s June. The latest story running around is that Negan purees more than one character out of the series in the upcoming premiere. He said anyone who interferes with the execution would get bashed themselves, so it’s plausible one of the more gung-ho members attempted a rescue and paid for it. “It was to get people fired up. Negan does kill a lot of people in the next couple of years. Before we even meet him he’s killed a lot of people. 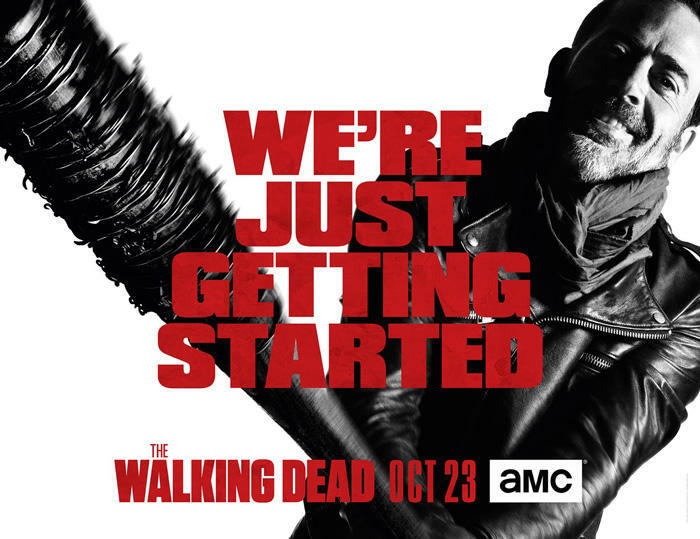 Negan’s been around for a long time.” Got it? Morgan meant all the people Negan kills in the FUTURE. Unless this was something AMC shoved him out into the public to say in order to cover up his big gaffe. We can’t say for certain which statement is the correct one, but it won’t be long until we know for sure anyway.